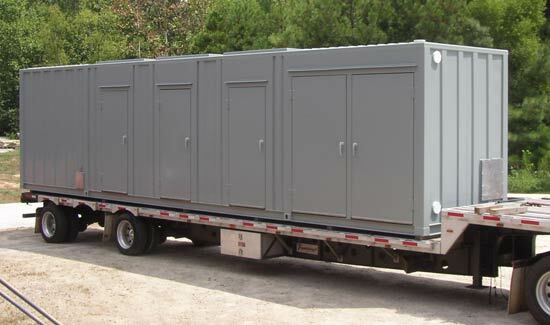 Custom Equipment Enclosures, Design and Fabrication | pdblowers, Inc. 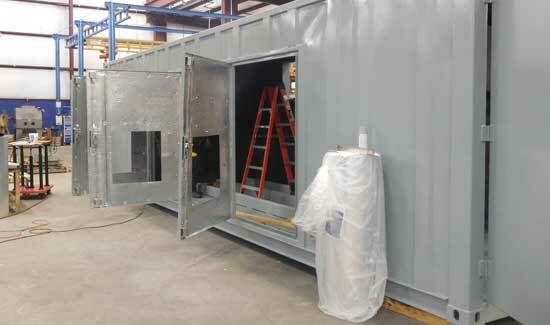 Custom enclosures can be an ideal solution for certain project challenges. Loud equipment noise can make workers physically ill. Harsh or unpredictable environments can damage equipment. 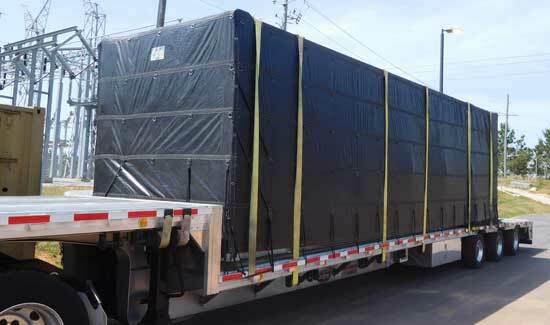 An enclosure protects your operation by reducing noise and shielding it from the weather. 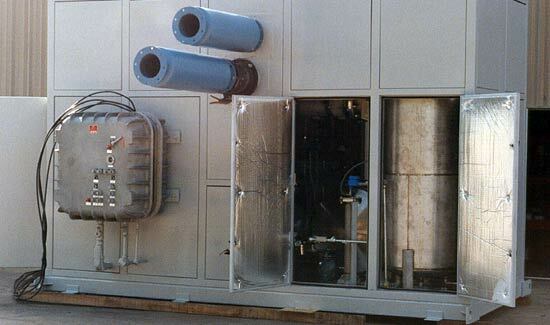 Enclosures can also facilitate the modular integration of system components. 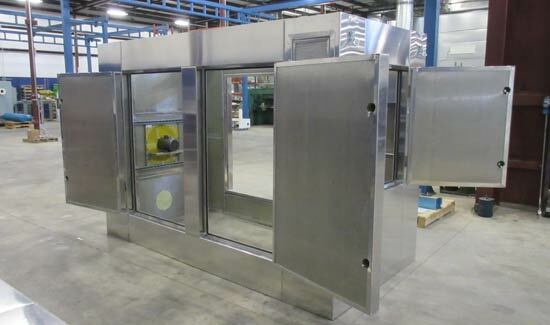 We have extensive experience fabricating custom enclosures. 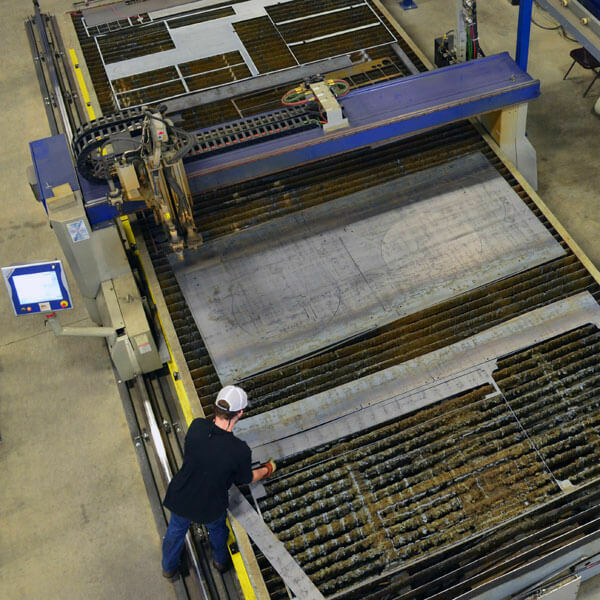 We build them from the ground up, up to 40′ long. Our standard is similar to ISO containers, but uses a heavier design to permit the enclosure of heavy components. Your container can be customized to provide the kind of accessibility to the interior you need, from doors to smaller panels. We can use special material, stainless steel or aluminum, with either a bolt or riveted style. 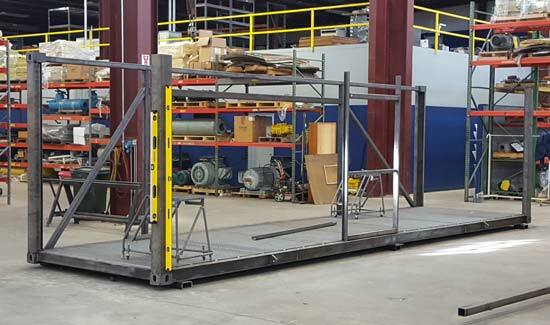 Bolting panels together can be useful if the container may need to be disassembled. Riveting is more permanent and more securely withstands the vibrations of container transport. 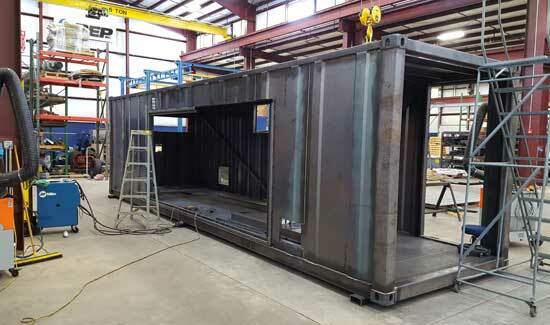 We also do welded containers. 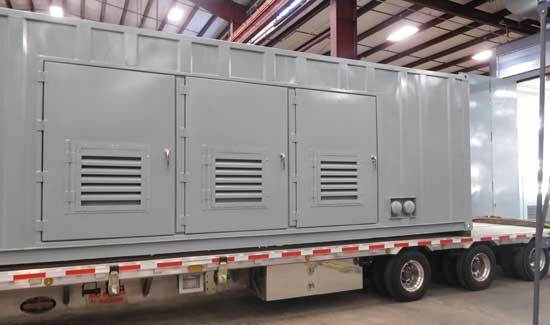 All of our enclosures can be insulated with optional liners to achieve different outcomes—from perforated or solid metal to wood panels. 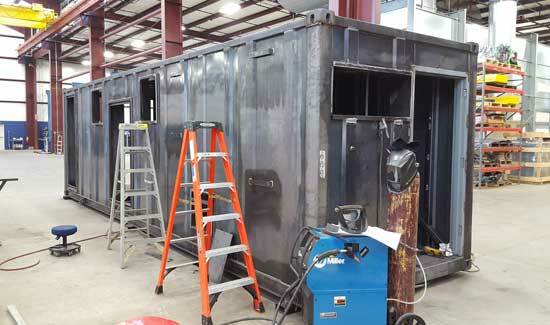 The soil remediation industry uses containers to effectively house their systems. 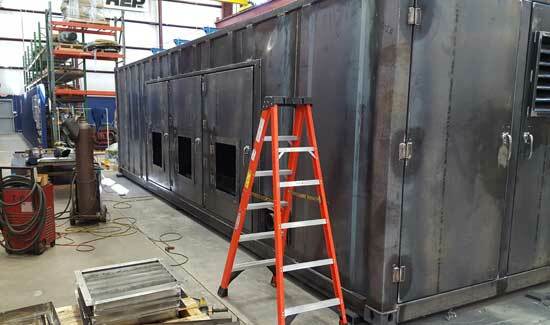 We’ve fabricated and maintained many of these soil remediation equipment enclosures over the years. Not only do the enclosures protect equipment from the elements, they protect outside wildlife from the equipment. 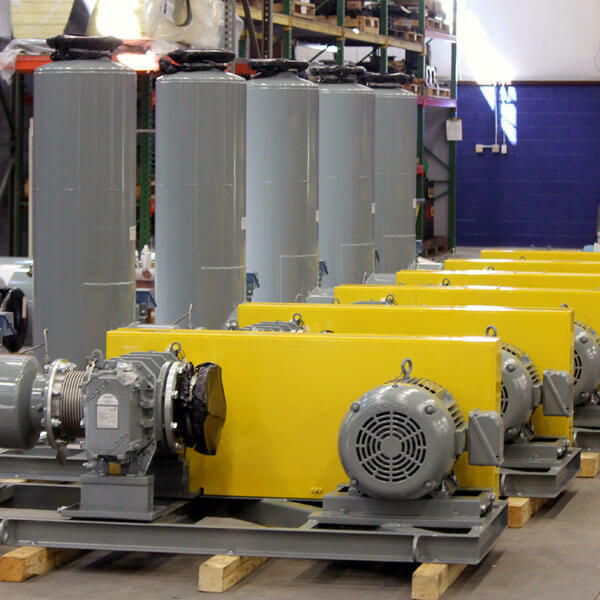 Soil remediation systems use high voltage transformers as part of their power control unit. 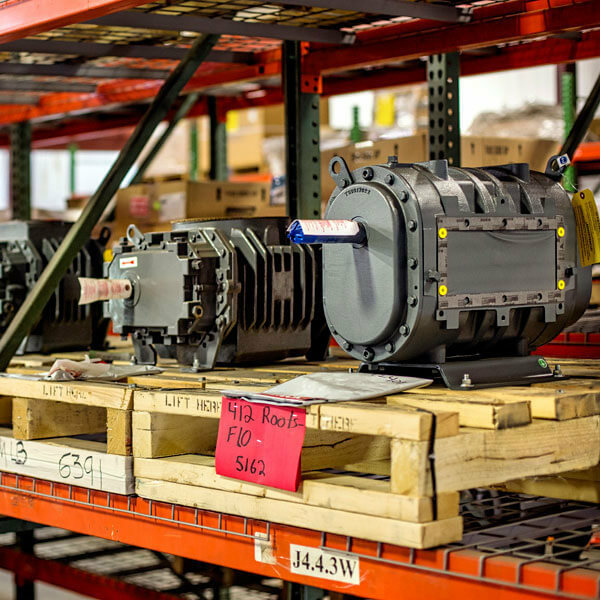 Transformers power electrodes that heat groundwater for soil remediation. 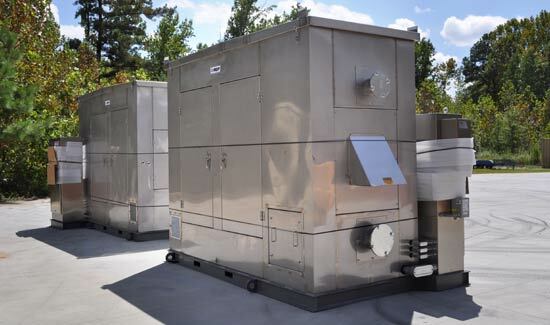 Groundwater and vapors undergo chemical transformation with the system’s thermal oxidizer, a component that reaches 1800° F.
Moving frequently to different sites for environmental cleanup, this long-time client relies heavily on our modular designs. 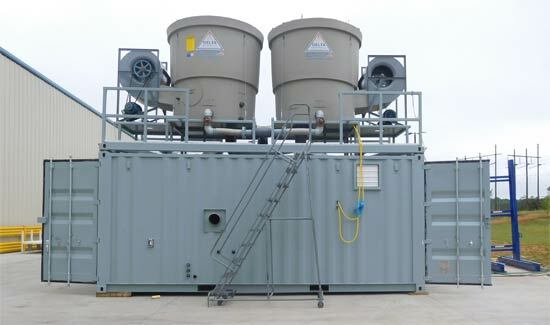 Here, a custom skid with two large cooling towers can be mounted on top of a custom container that houses the process equipment. A customer in Salton Sea, CA was challenged with a highly corrosive environment, with high salinity in nearby water and flammable, hazardous gas—hydrogen sulfide—in the air. 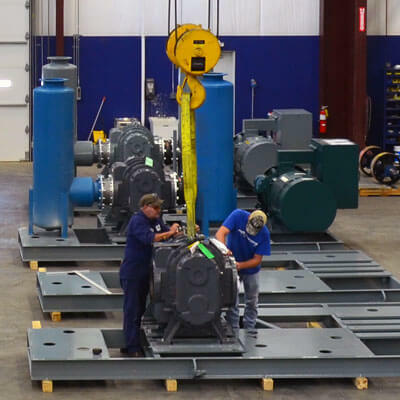 To avoid corrosion, we built the entire blower system and enclosure from stainless steel. 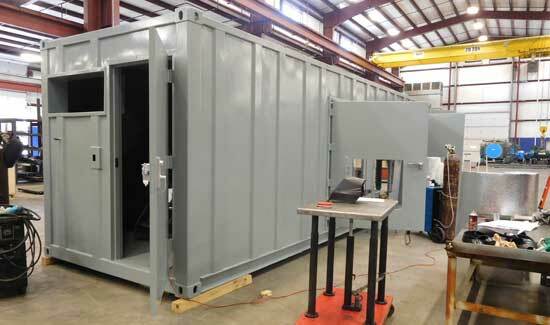 We made this 40' enclosure for a soil remediation system with top hatches to allow transformers to be dropped in from above. 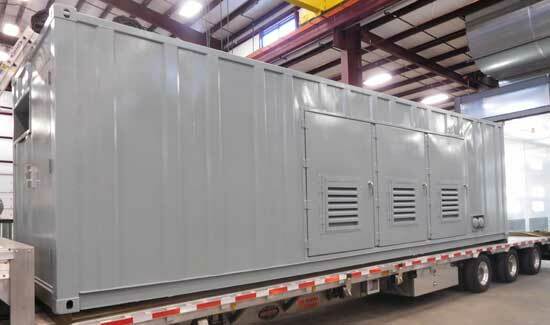 For a large food manufacturer, we created an enclosure to withstand specific weather and acoustic conditions. 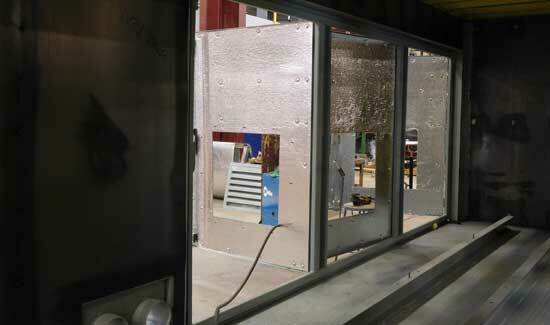 It was made from welded aluminum to withstand rust and insulated with a liner over the insulation. Each enclosure is designed to meet the challenges of its environment. This project employed an explosion-proof starter. 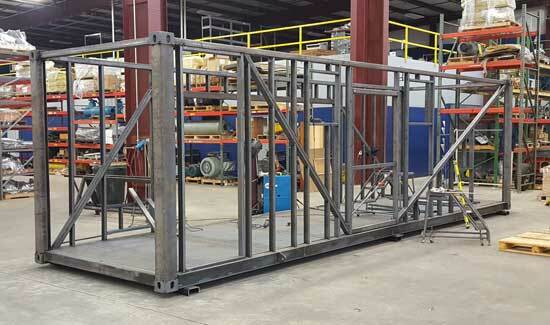 We fabricate enclosures, but we can also modify existing ones. 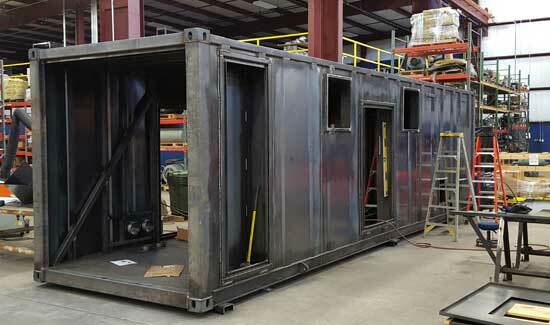 For previous clients, we’ve taken a standard ISO container and downsized it into pieces or into a smaller container. We can repair, or add new ends or openings. 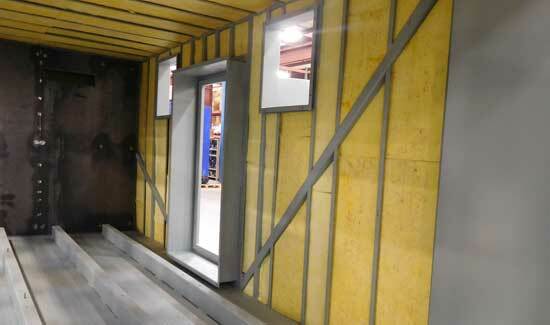 All of our projects can be painted in-house in our drive-through paint booth, to your specification. Let us know what changes you need and we’ll make it happen. Or, contact us with any question about your project. Our application engineers can discuss typical solutions and if your project presents unique challenges, we’ll work with you to find a new solution.